With great regret we inform you that , for reasons not attributable to the artist , Natalia Osipova will not take part in the performances of 18 and 20 November. 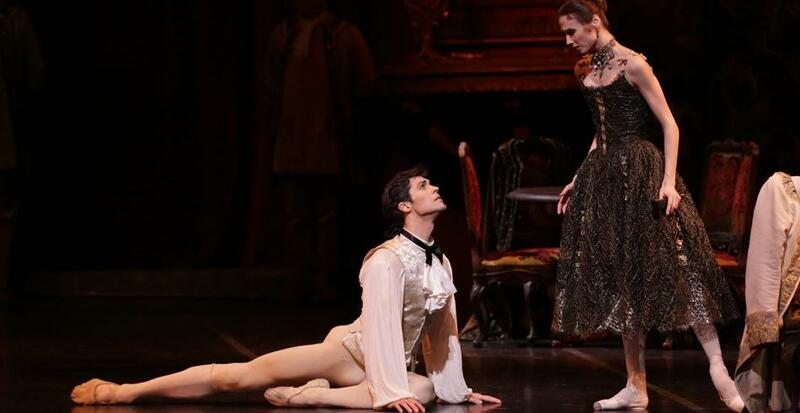 In the role of Manon will be Sarah Lamb , Principal of the Royal Ballet, for the first time at La Scala. In the France of the Enlightenment, fortunes are made and lost at the speed of lightning. Manon, a captivating damsel of dangerously innocent charm, yields to the temptations of wealth and becomes corrupt and calculating. For her brother Lescaut she is a bargaining chip, for old Monsieur G.M. she is an object of desire; and for the student Des Grieux she is true and pure love. The character created by Prévost, which became popular thanks to melodrama, acquires a new and fascinating life through dance: in a wonderful example of his creativity, Kenneth MacMillan sets out the glamour and the tragedy of the leading character and creates splendid male roles, for a ballet that is exciting, real and gripping on the dramatic, psychological and choreographic planes. Our étoiles Svetlana Zakharova return on stage for three performances. Registrazione presso la Royal Opera House di Londra. Sulle musiche di Jules Massenet e con la coreografia di Kenneth MacMillan’s.